Refinancing nurse practitioner student loans used to be a no brainer. But now nursing student loan repayment is more complicated because schooling and student loans are doubling as many employers require or prefer a Doctor of Nursing Practice (DNP) degree vs a Master’s of Science in Nursing (MSN). Nurse Practitioner degrees used to be highly affordable. Getting a Master’s of Science in Nursing (MSN) would cost somewhere between $20,000-$40,000 for two years of school with promises of a near $100,000 salary. 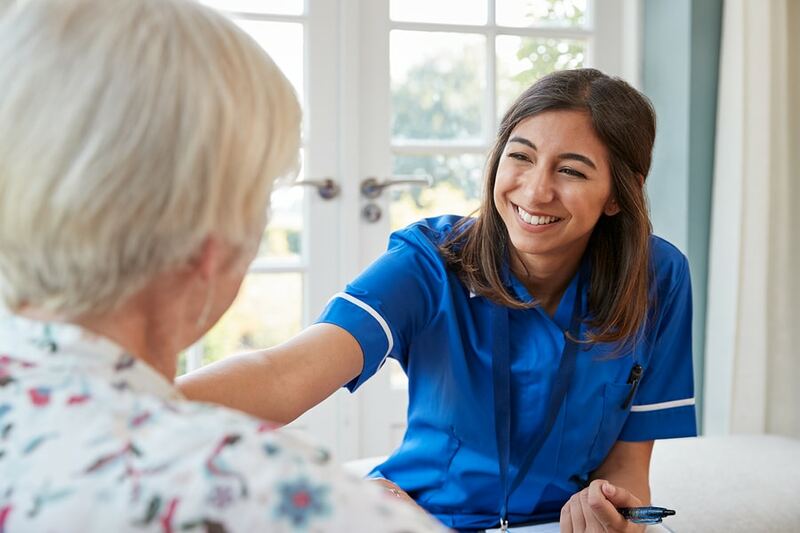 It wasn’t until the last 10 years or so that the Doctor of Nursing Practice (DNP) has become more sought after by employers. It’s a 4-year program which means more clinical expertise & training as well as patient care. That’s all great stuff! However, it also means a doubling of schooling, tuition and student loan repayment programs for nurses. The good news is that DNPs are compensated about $9,000 more a year compared to MSN’s (according to a Payscale survey). The bad news is that loans go up by a multiple of that. Aside from the burden of student loan repayment for nurses, these repayment methods are confusing by name and program. For example, why is it that all of the student loan repayment options tied to income are called “income-driven repayment” plans (IDR) and they decide to name one of the IDR options “income-BASED repayment” or IBR. I mean, come on! 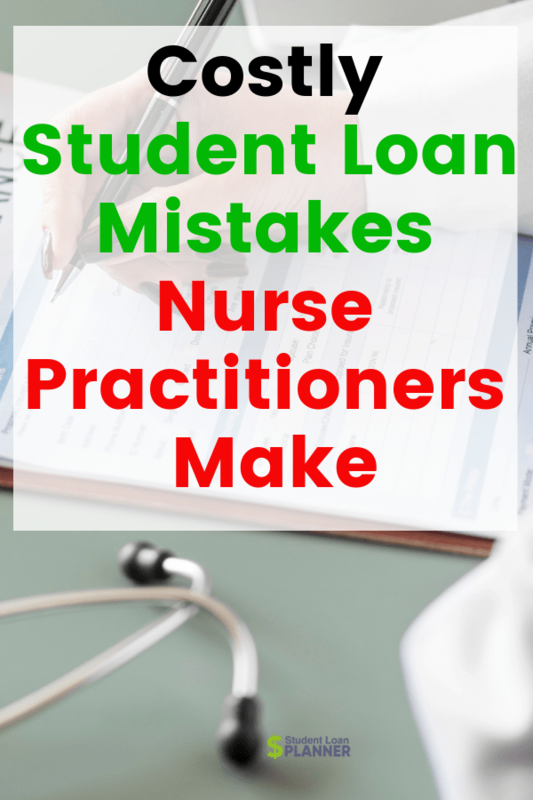 Because of the confusion, nurse practitioners fall into some repayment mistakes that can cost them a ton of money paying back their student loans. It’s not their fault. They have gotten faulty information and guidance from so-called experts. She just graduated with $145,000 of undergraduate debt and DNP loans at 6.5% and is looking at a starting salary of $90,000 with 3% increases each year. We see this all the time, and it’s a costly mistake that we quickly fix. The IBR program (income-based repayment) is a repayment plan where the borrower pays 15% of their “discretionary income” to pay back their student loans. It’s one of the better plans out there. Payments are capped at the 10-year standard payment and it gives the borrower the ability to file separately for taxes to reduce their student loan payments. It’s 50% more expensive than one of the best repayment plans, PAYE (Pay As You Earn). PAYE loan payments are 10% of discretionary instead of 15% on IBR. PAYE also gives the borrower the ability to file separately to lower their payments just like IBR does. Before we take a look at the numbers, let me just say that the goal of going for loan forgiveness for nurse practitioners is to keep your payments as low as possible and maximize the amount forgiven. If Lauren were on IBR going for PSLF, she’d make about $124,116 of payments for the next 10 years until $107,237 of her loans are forgiven. Not bad considering she had $145,000 of loans when she graduated. On PAYE, she’d only pay $82,746 (57% of her loan balance at graduation) and have $156,504 of her loans forgiven. That’s $40,000 less, a down payment on a house! As long as she took out her first loan after 2007, then she’d be eligible for some huge savings. Mistake #2: Making Extra Payments On An Income-Driven Repayment Plan. 1. Aggressively pay them down: Commit to getting rid of your student loans in 10 years or less. Refinance down to a lower interest rate and throw all extra dollars to pay back the loans. 2. Maximize forgiveness: With nurse practitioner student loan forgiveness, the goal here is to keep monthly payments as low as possible and to have as much forgiven as possible. On PSLF, this is a no-brainer. Even with taxable loan forgiveness, it makes sense because only the taxes have to be paid, not the full amount. If she had $1,500/month and wanted to get rid of her loans quickly, then refinancing down to 5% for 10 years would make sense. This is the aggressive approach. If she couldn’t afford $1,500/month, then PAYE could be a solid option. She’d make $193,950 in loan payments over 20 years (vs $188,614 over 10 years with refinancing). At the end of PAYE, her forgiven loan balance would be $139,405. That would be counted as income in 2038 and let’s say she’d have a total tax rate of 40%. She’d only owe $55,762 vs. $139,405, a discount of $83,643. Between the payments and taxes owed, she would have paid $249,713 toward her loans over 20 years. Now let’s say she’s on PAYE and decides to pay more each month toward her loans. For all intents and purposes, let’s say she makes payments like she’s on IBR (15% of discretionary income vs. 10% – a 50% increase. She’d actually pay off her loans before the 20 years and have none forgiven. Sounds good right? Well, she’s also end up spending an extra $20,000 paying back her loans ($269,000 vs $249,000). So what would be a better option? Rather than putting that extra money toward paying off the loans, she could keep the payments the same and put that extra $ into savings. Keeping her payments low on PAYE and not throwing extra money on them, she’d would have her loans paid off and have an extra $20,000 saved up! 1. What is your career trajectory? Does Lauren want to work for a private practice or a non-profit employer? This could be the most important decision as it relates to her student loans. If PSLF is on the table, then we’d talk about the best repayment plan to go for it. If she could go either way, then we’d crunch the numbers to see how much more in salary she’d have to make in a private job to give up the PSLF benefit. 2. Do you want to get rid of your debt quickly or go for loan forgiveness? With Lauren’s salary, she could go either way, so we would spend some time talking about the pros and cons from a financial and lifestyle perspective. Many people would love to get their loans knocked out as quickly as possible but they struggle to come up with the money to commit to the refinancing payments. If she really wanted to get it done, we would talk through some simple and effective spending techniques to get her comfortable with it. 3. What are other major financial and life events on the horizon? Student loans are the biggest financial commitment that has to be dealt with during the first 3-5 years after graduation. However, down the road, Lauren might want to get married or buy a house. So how does this affect student loans? If Lauren were interested in buying a house, we’d talk through some simple metrics to see what she could afford while making her loan payments. If she gets married down the road, that could have a monster effect on her loan repayment strategy. We’d be able to model it and talk through it in the call. There’s a path for nursing student loan repayment that will save thousands of dollars. Student Loan Planner has done over 1000 consults on hundreds of millions of student loans. Whether you want to go for PSLF, work for a private practice, or make sure you’re on the best repayment plan, we can help you figure out the optimal path in just one hour. Rob works with borrowers who owe less than $300,000. He’s usually the point person for our nurse practitioner student loan consults. Feel free to email him at rob@studentloanplanner.com. Yeah not worth student loans. Don’t take them, not worth it. In my state Nurse Practitioners are limited and your job is not prestigious at all. Nurse Practitioners will always be limited and less prestigious compared to Medical Doctors, but they are in high demand, and working as a nurse in any capacity is prestigious enough for me. And you earn money way sooner, which is a nice plus.